August 8th isn’t an official holiday per say, but for synthesizer fans it’s one of the best days of the year — 808 day! Roland (the company who released the groundbreaking TR-808 Rhythm Composer in 1980) has marked August 8th in recent years with big announcements and events, and 2017’s edition is no exception. 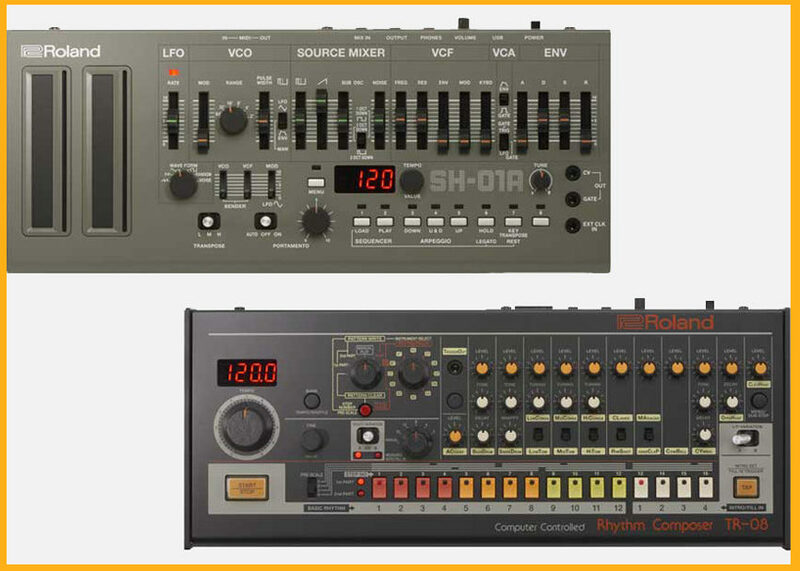 This year, we’re getting reissues of two milestone devices now in compact Boutique form: the Roland SH-01A and TR-08! 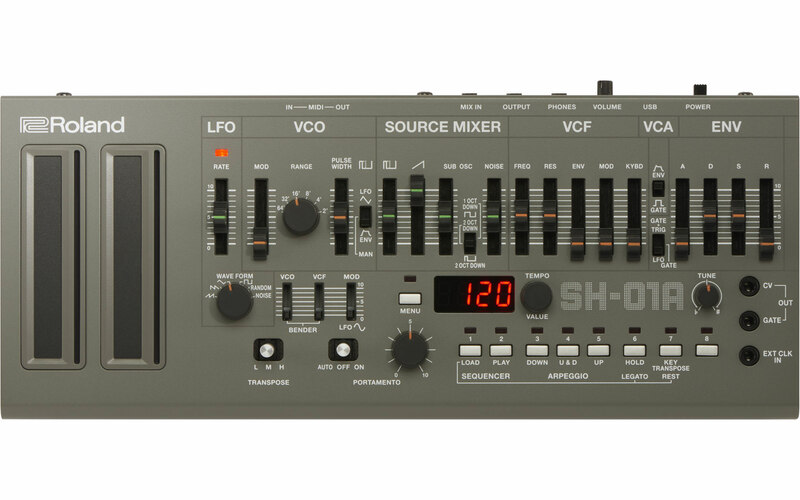 The SH-01A is a scaled-down version of the Roland SH-101 — a classic bass synth beloved by acid house musicians. Although the original was analog and the new Boutique version is digital, it does use Roland’s acclaimed analog circuit behavior modeling technology, so it’s safe to bet this will be an accurate reproduction. This version also expands the original’s possibilities by way of polyphonic, unison and chord modes. 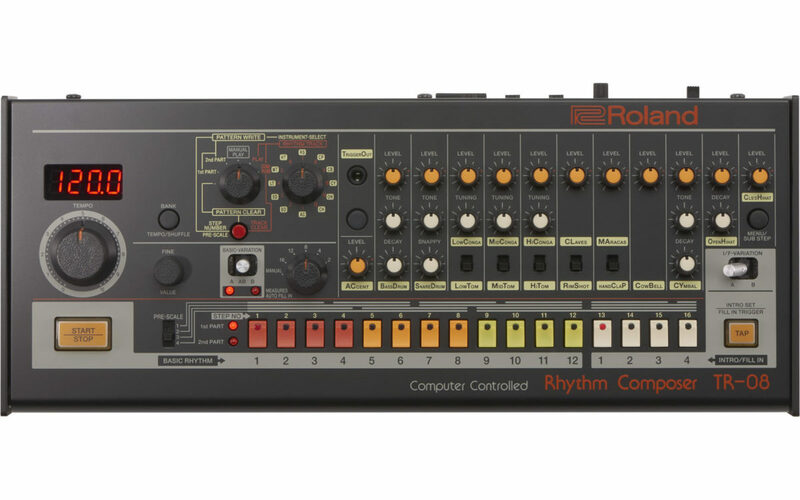 The TR-08 nails the look and feel of Roland’s original drum machine, the TR-808. While this Boutique-sized model is smaller, it features the same functionality as the original, but adds gain, compression, tuning and pan controls for select instruments, an LED screen, MIDI I/O and USB output. We’re looking forward to seeing what these new Boutique instruments can do! In recent years, Roland has been making their classic devices readily available to today’s players through their Boutique and AIRA lines, offering a ton of functionality for a great price point, and though the TR-08 and SH-01A are not out yet, they look to continue that mission.